Concurrent Technologies Corporation’s (CTC’s) innovative water recycling technologies purify and treat wastewater up to potable standards so that it can be safely recycled and reused, addressing pressing water needs. No other technology matches the efficiency and benefits in providing clean water for unrestricted reuse—including human contact applications. Our systems recover more water at better quality using less energy, operations, and maintenance. CTC’s technologies allow water to be reused for a wide variety of applications, such as industrial and commercial laundry, toilet flushing, and landscaping. Because CTC’s research and development (R&D) work includes Department of Defense projects, our solutions comply with strict national water reuse standards and mandates, enabling quicker transition to the field. In partnership with our affiliate, Enterprise Ventures Corporation (EVC), we offer the ability to fully design, develop, test, prototype, and build systems that will reduce your costs and water usage. CTC uses our in-house WET system to optimize water technologies before delivering customized solutions to clients, saving them time and money while ensuring performance. 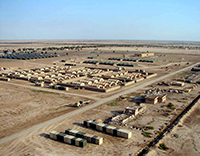 Developed for the U.S. Air Force, the Expeditionary Wastewater Reuse System (EWRS) makes a significant impact on water usage by efficiently processing and recycling 90% of greywater generated at Basic Expeditionary Airfield Resource (BEAR) sites. The EWRS recovers the water from the shower and laundry each day while providing energy efficiency and low maintenance. 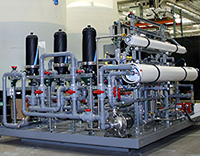 CTC is developing an Expeditionary Black Water Processing System (EBWPS) for the U.S. Air Force. The EBWPS will complement and work holistically with the EWRS, which recycles greywater at BEAR sites. Because the EWRS greywater system reclaims all but 10 percent of greywater from showers and laundry at BEAR sites, the black water (sewage) will no longer be liquid enough, making disposal problematic. The new EBWPS will be an energy-efficient system to treat black water in a manner that will meet U.S. Environmental Protection Agency and U.S. Army Public Health Center standards for direct discharge back to the environment. 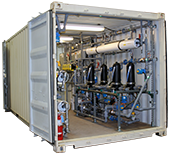 The Small Unit Water Purification System (SUWP) provides an energy efficient, configurable solution to meet a specific water need and utilize the available energy source. For drinking water, reverse osmosis processes fresh or brackish water and can be configured for saltwater desalination. 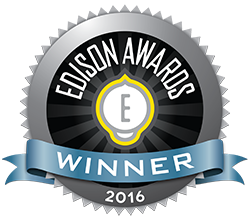 CTC’s alternative water treatment technology won an internationally renowned Silver Edison Award in the energy and sustainability category.